A star-studded auction for World Wide Orphans has launched online at Charitybuzz, raising funds to transform the lives of millions of orphaned children around the world. 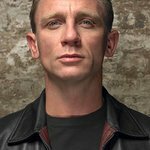 Daniel Craig, Sting, Bette Midler, Mariska Hargitay and Katie Couric are just a few of the acclaimed artists and stars auctioning meet-and-greets, set visits and VIP tickets to benefit World Wide Orphans as part of its online charity auction at www.charitybuzz.com/worldwideorphans. Sting is auctioning two tickets to “An Evening With Sting” as he performs his most celebrated songs, accompanied by the Royal Philharmonic Concert Orchestra, at the Verizon Ampitheatre in Irvine, CA on June 16, 2010, with a rare meet-and-greet with the renowned artist before the show. Daniel Craig, one of Hollywood’s hottest leading men, is auctioning a visit to the film set of Cowboys and Aliens, directed by Jon Favreau, where the highest bidder and a guest will meet Daniel Craig in Santa Fe, New Mexico this summer. Actress Mariska Hargitay will give one lucky bidder and a guest a personal tour of the Law & Order: SVU set. Hargitay (aka “Det. Olivia Benson”) will give a tour of the stages – such as the Special Victim’s Unit Squad Room, the Courtroom, and the Interrogation Room. 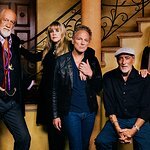 Star singer Bette Midler, back from her recent Las Vegas run, is auctioning two tickets to the New York Restoration Project’s Annual Hulaween Gala at the Waldorf Astoria in New York City on October 29, 2010, where the winner and a guest will meet Bette Midler herself. Katie Couric is auctioning a behind-the-scenes tour of The CBS Evening News studio, set and control room at CBS Studios in New York City for one winner and three guests, with the chance to meet Couric after the show. Other incredible talent participating in the WWO online auction at charitybuzz includes: Kristin Chenoweth, Julianna Margulies, Dave Grohl, Bernadette Peters, Paul McCartney, the cast of Good Morning America, Elie Tahari and more. Founded in 1997, WWO’s mission and vision is to transform the lives of orphaned children by taking them out of anonymity and helping them to become healthy, independent, productive members of their communities and the world. To view video clips on WWO’s work in action, click here. The auction runs until April 1 and can be accessed here.